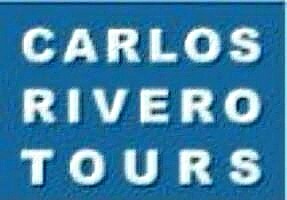 Visting Puebla, Mexico, is an incredible experience to explore natural beauty that offers you a great opportunity to enjoy some places that are not been explored very much but with great natural interest. 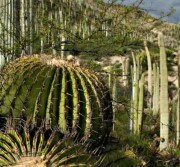 This UNESCO site gathers the densest columnar cacti forests in the world that present a unique landscape also made up of maguey, yuccas and oaks. The archaeological remains show a technical evolution of the early domestication of vegetables. The valley presents an exceptional system of water management, built by channels, wells, aqueducts and dams that are the oldest in the continent and allowed the sedentarization of communities that lived of agriculture. Drive to Malinche base camp and waiting for climbing. 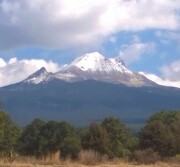 "Malinche" mountain (4,461 m/14,636 ft). 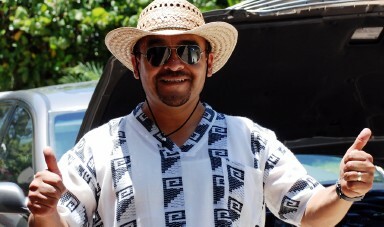 Drive thru and hikking to Ixta Popo National Park. 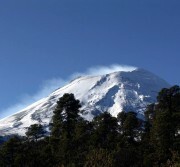 Tour takes you to get half way of both volcanoes at 3,600 m (11,811 ft) for a walk thru into the woods and base camp. Popocatepetl volcano is also known as "Popo" has an elevation of 5,452 meters (17,887 ft) over sea level and Ixtaccihuatl or Iztaccihuatl volcano is also known as "Izta" has an elevation of 5,286 meters over sea level (17,343 ft). Base camp is located at 3,600 meters over sea level (11,811 ft).